Our program has a rich history that includes perhaps one of the greatest traditions in collegiate athletics: The 12th Man. Our athletics department is committed to building champions through academic achievement, athletic excellence, and national recognition of student-athletes, teams, and programs. We are a proud member of the Southeastern Conference, with more than 650 Texas A&M student-athletes competing at the NCAA Division 1-A level in 20 varsity sports. 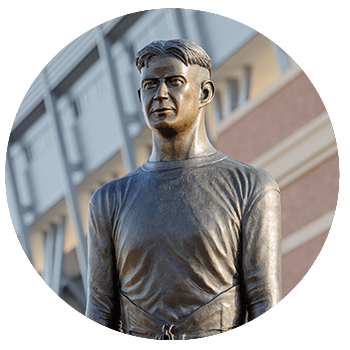 From football to soccer, the 12th Man statue represents the ever-supportive spirit of Aggie fans everywhere. Get your tickets for all Texas A&M Athletics events through the Ticket Center. Is a game sold out? Not finding the seats you want? 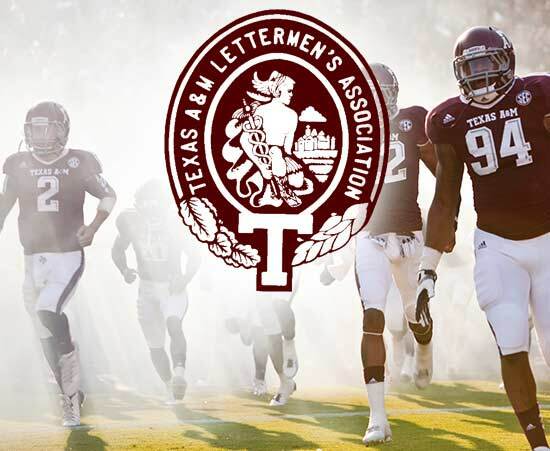 Check out Flash Seats, the only online marketplace endorsed by Texas A&M Athletics. 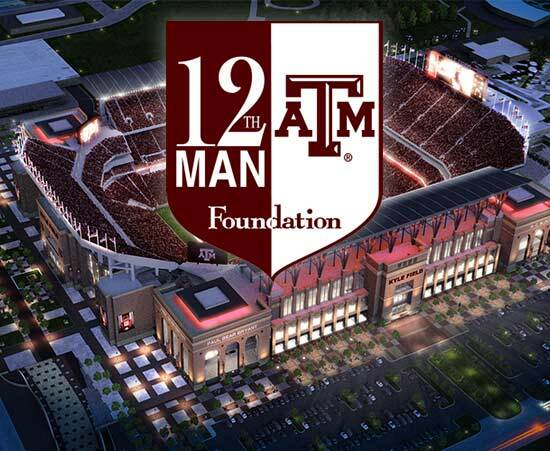 Named in honor of our 12th Man tradition, the 12th Man Foundation funds scholarships, programs, and facilities in support of championship athletics. Since 1974, the Letterman's Association has been committed to providing support and recognition for our men’s and women’s athletic programs. 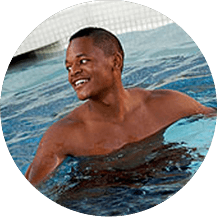 Whether you are looking to kick back and relax, blow off some steam with a workout, or take a group fitness class, Recreational Sports has something for you. We're home to 34 student sport clubs and one of the largest intramural programs in the nation, with more than 12,000 students participating each year.